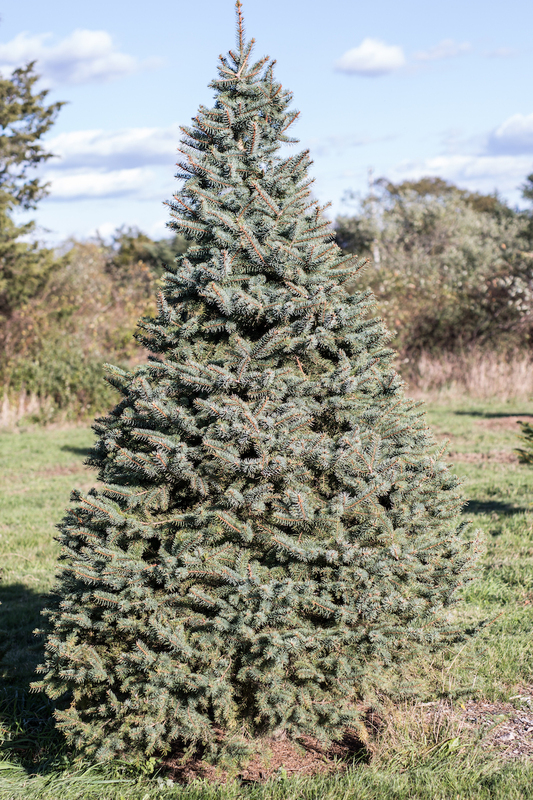 If you want a Christmas tree with Martha’s Vineyard roots, the place to go is L & W Tree Farm on Panhandle Road in West Tisbury. 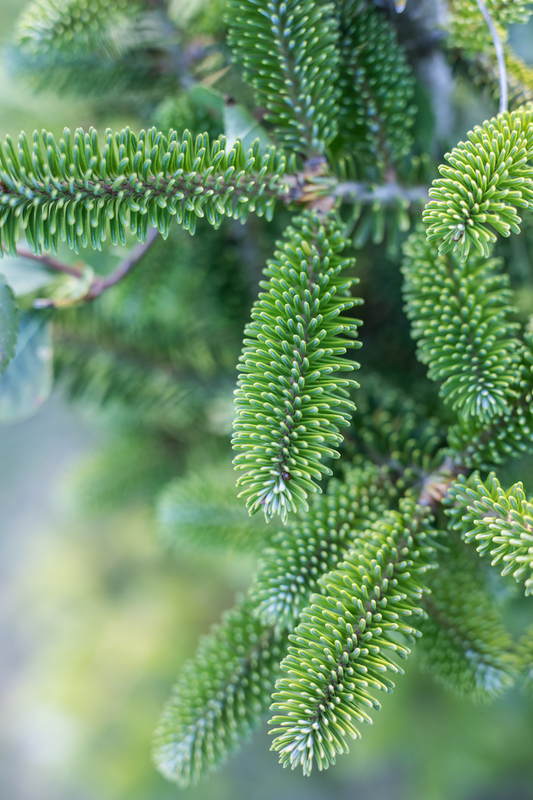 It’s the only farm on the Island where you can choose and cut an Island grown Christmas tree—or bring one home alive to plant outside after the 25th. “You can’t get any fresher,” said Norman Lobb, who co-owns and runs the farm with Heather and Vincent Maciel on 10 acres of land leased from Whiting Farm. “Even if you get your tree on Dec. 1, on the 25th it’s still going to be really fresh, if you keep it watered,” Heather added. 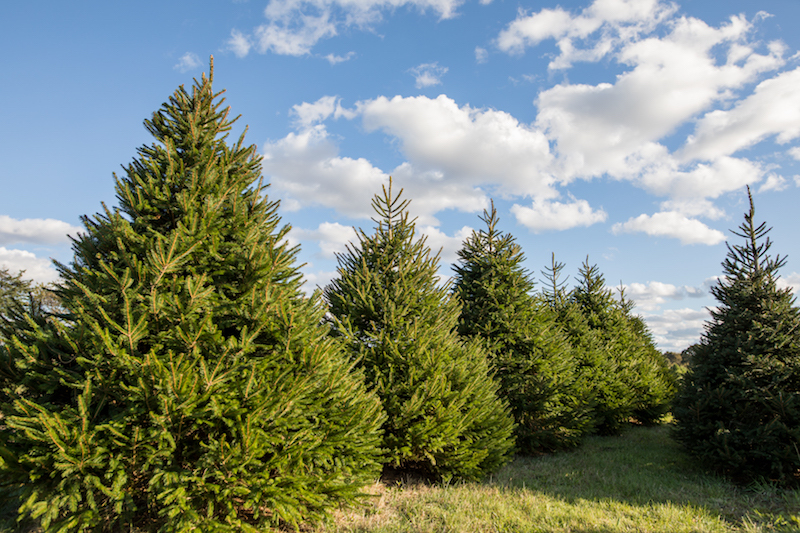 The farm is open for Christmas tree shopping the first four weekends in December, Saturday and Sunday from 9 a.m. to 2 p.m. 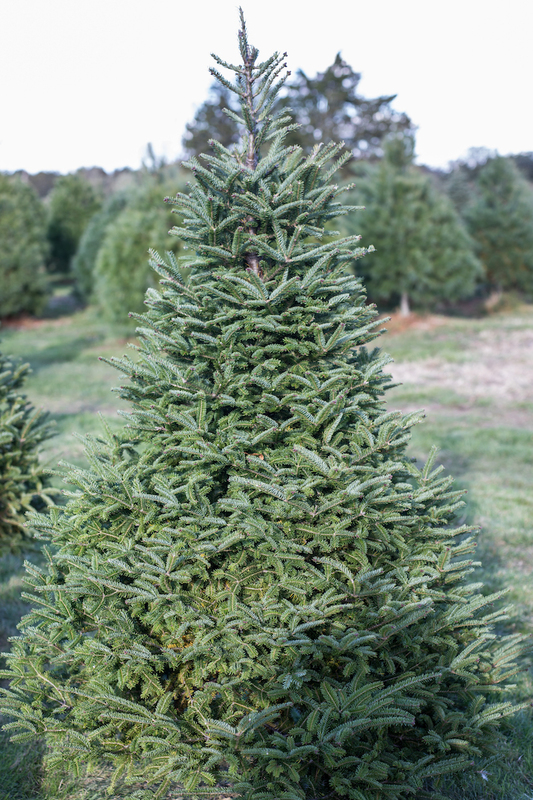 Families are welcome and the choices are wide, from tabletop-size trees to towering 12-footers. Other Christmas trees include the concolor fir, also known as white fir, which has long, soft blue needles, Heather continued. “Some people like spruce trees; they just don’t last as long,” she said. 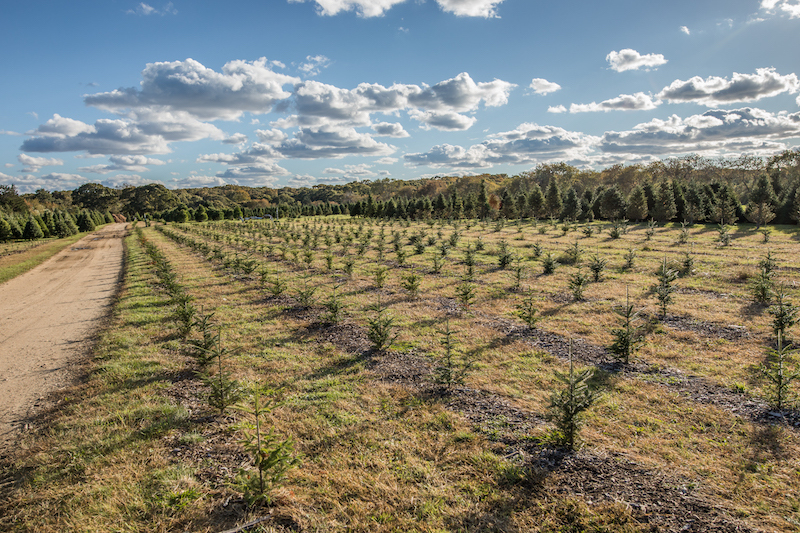 L & W Tree Farm grows white spruce, blue spruce and Norway spruce. “And then, also, we still have white pines. Some people like the white pines because they really like that pine smell. They specfically say they want a pine,” Heather said. If you don’t want to cut your own Christmas tree, Norman and the Maciels can dig one up for you with a tree spade. Also, she recommends digging the planting hole ahead of time, in case the ground freezes before the tree can be transplanted after Christmas. L & W Tree Farm is named for Norman and his original business partner Danny Whiting, who started it together 25 years ago. When Danny retired, he sold his share in the farm to the Maciels, who run Maciel Land and Tree in West Tisbury. Vincent and Heather are seasoned Island lumberjacks, well known for their prowess with saws in the woodsmen’s competition at the annual Agricultural Fair just across the road from the tree farm. They also move trees frequently as part of their landscaping services. “It’s great to have new blood in here,” Norman said. 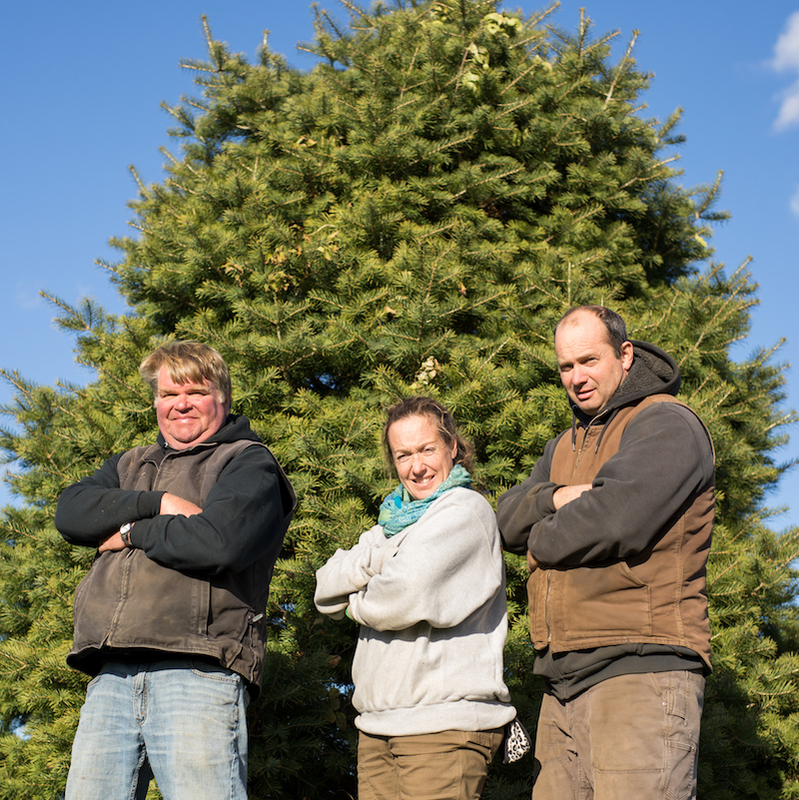 Christmas trees are a seasonal favorite, but the farm runs year-round providing Island-grown trees to local landscapers and landowners. 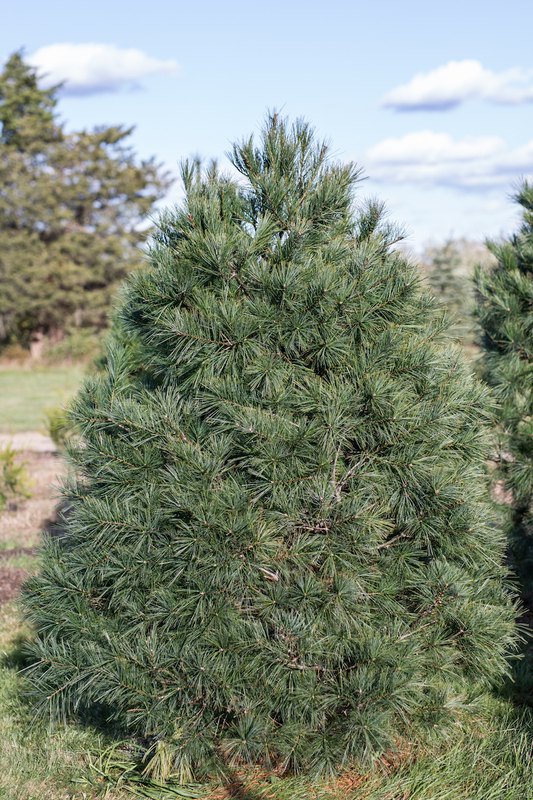 “We do Leyland cypress, we do Green Giant arborvitae and a lot of native cedar, which is probably our biggest seller,” Norman said. Island-grown trees cost no more than those from the mainland, which can come from as far south as Georgia with stops along the way, Vincent said. “By the time you usually get a tree to your job site and get it planted, it’s been out of the ground for a month,” he said. By comparison, trees from L & W can be dug up, delivered to a new home and planted on the same day. “They never skip a beat,” Heather said. Louisa Hufstader is an Edgartown-based freelance writer.